Bridge to Imla is the new ambient / Berlin School project by artists Hans-Dieter Schmidt and Michael Brückner. Both artists are veterans of the wider ambient music genres and have been releasing music under various projects for decades. The Radiant Sea is their first collaboration. The Radiant Sea is an ode to the Pacific Ocean. The theme of the album is two-fold. It partially is a telling of the Fukushima Disaster in Japan, and a warning against allowing these sorts of disasters to happen in the future. But it is also a love-song to the Pacific, a look not only at its majesty, but also at its ability to heal the planet. Our oceans help greatly in keeping the atmosphere clean, absorbing much of the toxins we create and discard. So, it is, in some instances, the only thing holding us back from fully disrupting our planet’s fragile eco-systems. The music on the album is quite diverse. There are elements of many different sub-genres within the greater ambient spectrum. Fans of the Berlin School sound will find much to love here. It is also telling that they sought the mastering skills of Robert Rich, as much of the album fits nicely with his tastes and skill-sets. There are certainly elements of dark ambient which rise and fall throughout the album, particularly on the opening track, “Prologue: The Kuroshio Current”, we can hear some deep, menacing dronework which brings to mind the Northaunt opus, Horizons. Throughout the album, as well, we can hear drones which greatly relax the mind and lull the listener toward a sleepy half-aware state of consciousness. Yet, as a whole, the album is less routed in dark ambient than readers will find on most of the releases we cover. However, that isn’t to say that this should be ignored by those listeners which only are interested in that crushing darkness, it touches the genre in many ways throughout its entirety and will have plenty of things for dark ambient lovers to enjoy along the way. The drones are well crafted and give the album that particularly dreamy feeling, but they aren’t always at the forefront. Much of the album is filled with field recordings, voice samples and instrumentation, which all come together to keep it incredibly entertaining, easily enjoyable as the primary point of focus for listeners. “The Humboldt Current” is a great example of this, with crystalline drones backing a beautiful wind instrument section, which give it a wonderful sort of meditative Eastern feel. Then there are tracks like “Louisville Ridge” which lean heavily into the Berlin School / electronica side of the spectrum. The track is filled with synthesizer sections which give the listener an almost psychedelic feeling. This psychedelic element crops up often throughout the album, without becoming comical or overused. Often the subtle ways in which drones shift can play with the mind of the listener, especially if they are listening to this as they prepare to fall asleep. The album becomes an all around success with the help of Robert Rich and the Winter-Light label. Robert Rich was brought in to master the release. Putting his decades of experience in the ambient genre to work, polishing the album to a pristine perfection. 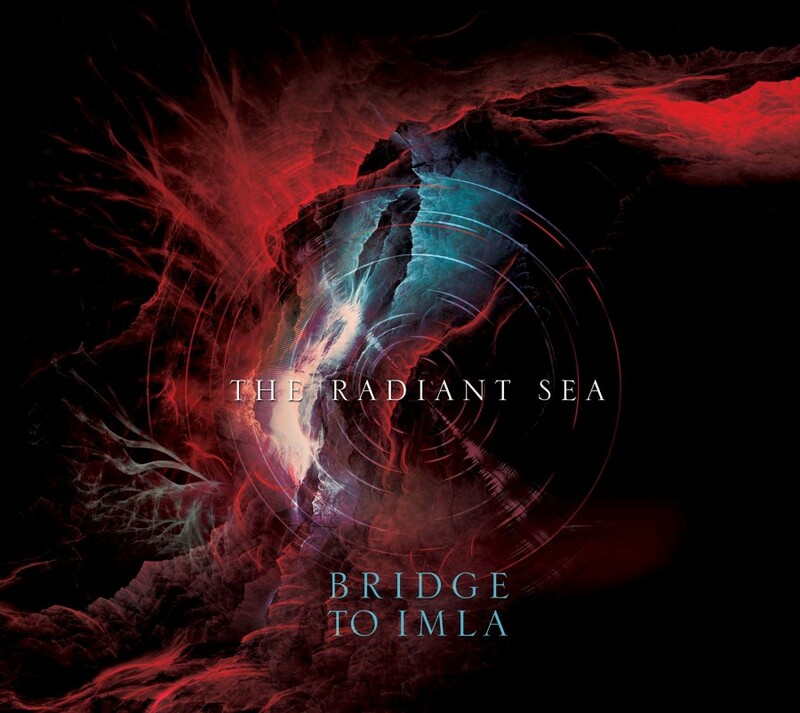 Once handed off to the Winter-Light label, The Radiant Sea was given beautiful cover-art, as well as a high quality 6-panel digipak, making the physical release as enticing as its stripped down digital-only alternative. Bridge To Imla delivered a strong debut. An album which could have only been created by artists with a lifetime’s experience in the field of ambient soundscapes. The album is equally as delightful when given full undivided attention as it is when played in the background, as an augmentation to some other activity. After this strong debut, we can hope to see more albums like this in the coming years from these two gentlemen. Until then, there should be many hours of enjoyment as one floats along on The Radiant Sea!